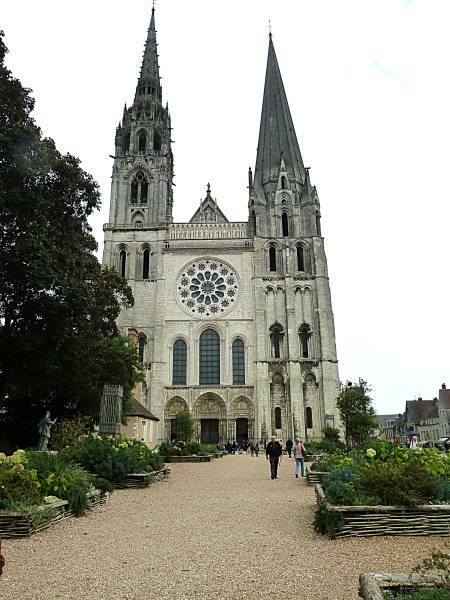 Staying with friends who live in Paris, we decided to spend a day visiting Chartres by the easy route – by train. Arriving at Gare Montparnasse, I was taken aback by the military presence – soldiers in combat gear wielding serious looking machine guns! This was the first time we had seen this sort of thing and it was very intimidating. 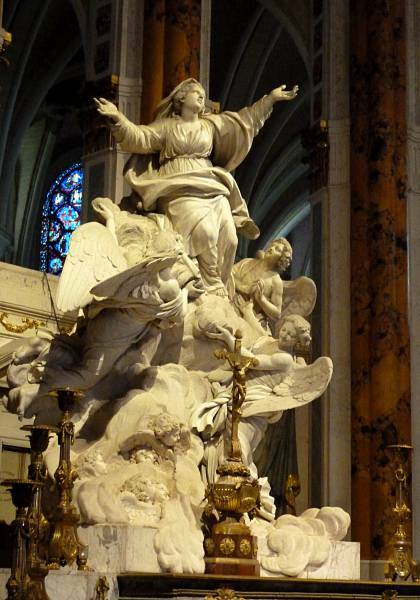 Chartres is only about one hour twenty minutes by train (about 90 kilometres) south west of Paris and is famous for its magnificent medieval cathedral, considered one of the finest examples of Gothic architecture in France and is a UNESCO World Heritage Site. A church has stood on the site since 858, but successive battles and fires have wreaked havoc on its many incarnations until the 13th century when most of the current building was completed. 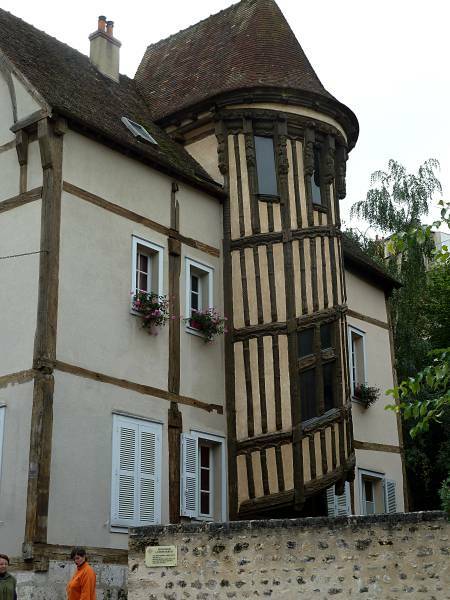 Miraculously it also survived destruction during the two world wars. It draws large numbers of Christian pilgrims, many of whom come to venerate its famous relic, the Sancta Camisa, said to be the tunic worn by the Virgin Mary at Christ’s birth. 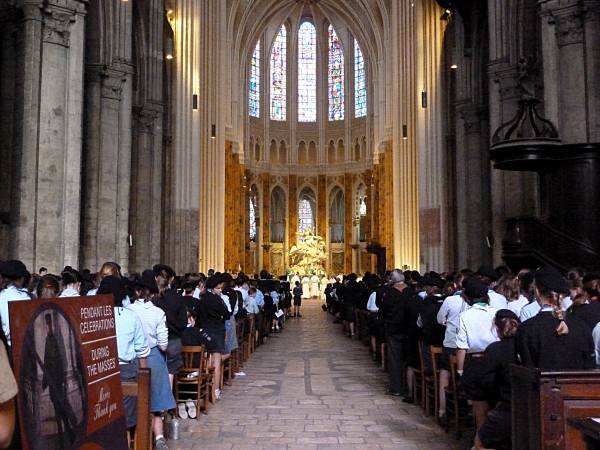 On the day of our visit the cathedral was the venue for the annual mass for hundreds of Scouts and Guides from many parts of France. The sound of their music and voices made this such a special uplifting experience. The cathedral was packed with young people, but nevertheless, it was still possible to walk around the lateral aisles and past the five radiating chapels at the east end to really appreciate the stained glass windows, paintings and sculptures which adorn the building. Incongruously that day, a huge ferris wheel – part of a travelling carnival – sat only a few hundred metres away. 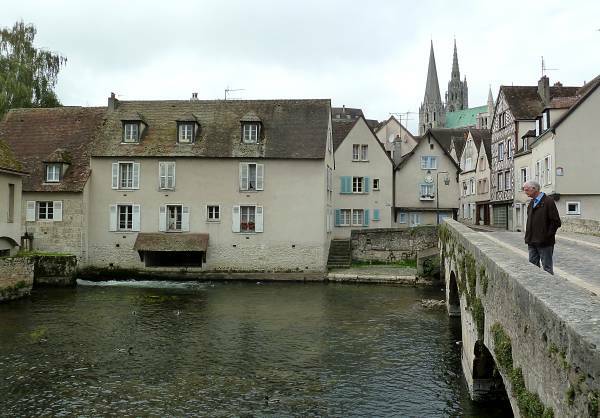 Chartres is built on a hill on the left bank of the Eure River, where it divides into several channels. Remains of old city fortifications can be seen along the western channel of the river. 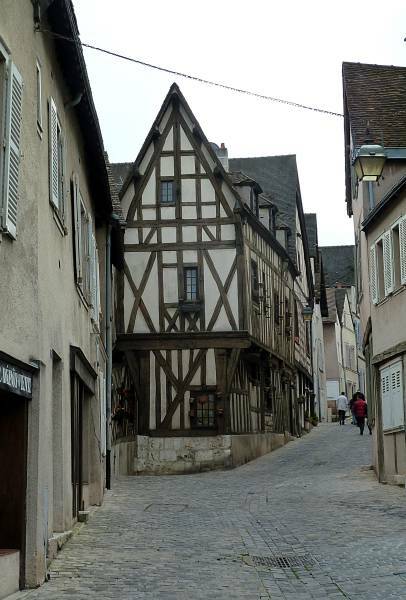 It was a delight to wander the steep narrow streets, staircases and bridges where we were repeatedly presented with views of interesting medieval and renaissance half-timbered houses and buildings. And wherever you are in Chartres, the cathedral towers can be seen in the distance. 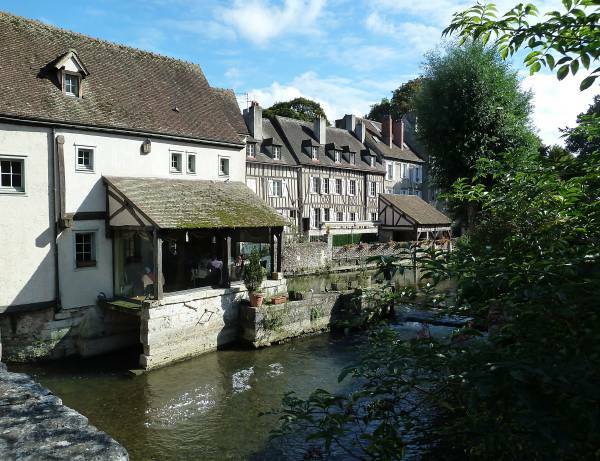 One of the reasons for our visit was to dine in a quaint old mill which had been converted into a well-regarded restaurant, Le Moulin de Ponceau. 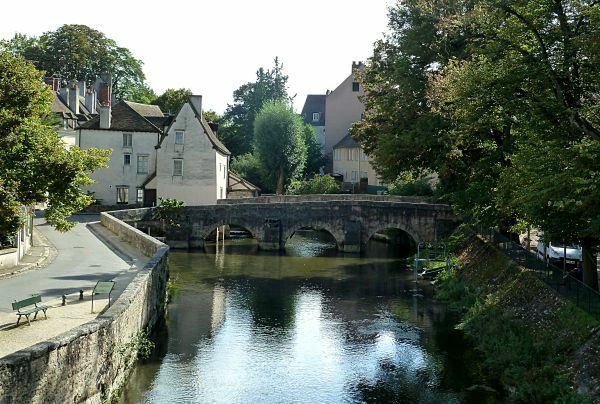 The route to the restaurant lies along a narrow lane by a channel flanked by more ancient buildings and willow trees. 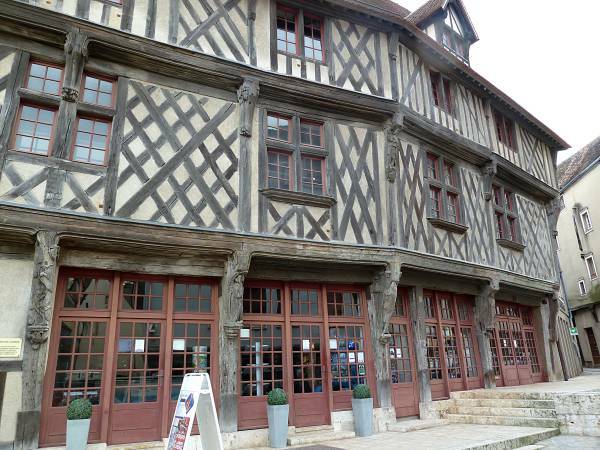 The restaurant itself was quite rustic in its décor with lots of dark exposed beams to match the half-timbered construction on the outside. Over the top of the old mill wheel, the area had been converted into a dining nook with large picture windows. As we left after our very elegant meal, the diners in the nook waved to us while we took photos from the nearby bridge. Returning to the station after visiting local galleries and shops, we stopped in at a café opposite for a quick coffee. From the terrace we had a great view of all the Guides and Scouts making their way back to their buses and the station at the end of their annual pilgrimage. They marched in their troupes carrying their banners and singing scouting songs. It’s good to know the Movement is still going strong in France. 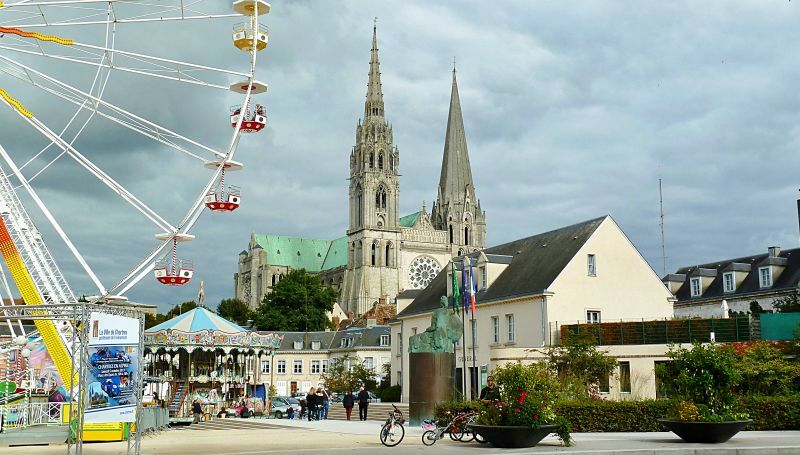 Discover the historic town of Chartres with its magnificent cathedral on this day trip from Paris. 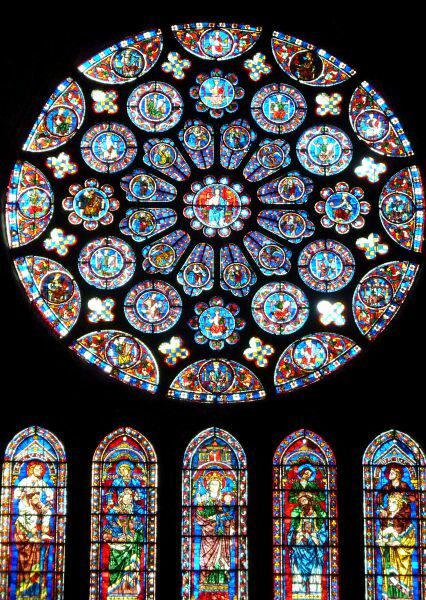 Enter UNESCO World Heritage-listed Chartres Cathedral with your guide to marvel at the remarkably preserved stained glass and see some of the best examples of French Gothic architecture. 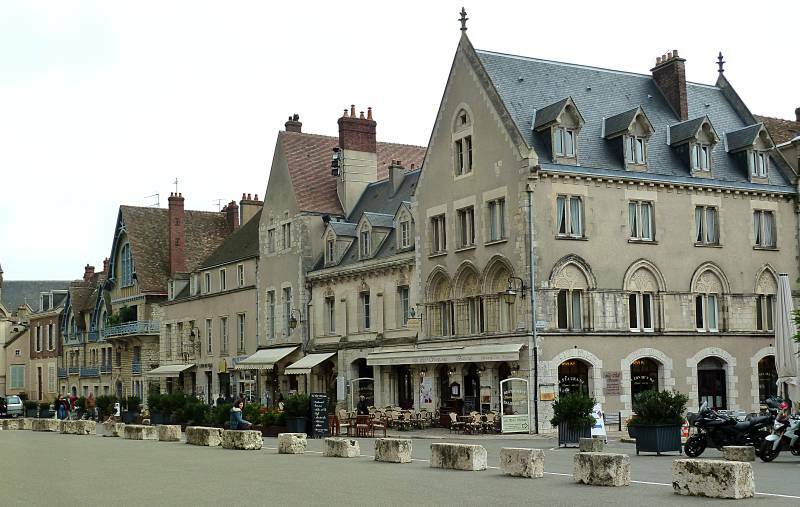 Continue with free time to explore the town at your leisure, followed by a guided tour of the charming city center and Chartres’ old town to see the Collegial Saint-André and ancient city walls. Lunch and hotel pickup and drop-off by comfortable mini-coach are included.